Tallowa Dam is unique for its massive mechanical fish lift which transports fish over the dam wall. It's also the centrepiece of the Shoalhaven system which provides water to the Shoalhaven and Southern Highlands regions, and a back-up to the Sydney and Illawarra water supplies. A viewing area at the start of the dam wall provides views of the fish lift, lake and surrounding bushland of Morton National Park, and an interpretive sign about the fish lift. From the upper viewing area, it's a short walk down a bush track to a lower viewing area for another perspective of the fish lift and dam wall. Note: The picnic area maybe closed during times of flooding and access to Lake Yarrunga is restricted when Tallowa Dam is spilling. Tallowa Dam is about 160 kilometres drive from Sydney. From Sydney, follow the Hume Highway (F5) south towards Goulburn and take the Mittagong to Bowral turnoff. Take Nowra Road towards Kangaroo Valley. Continue across Hampden Bridge in Kangaroo Valley, and turn right onto Mt Scanzi Road. Follow the road about 20 kilometres straight down to the dam. 1. Watch the fish ride a lift! 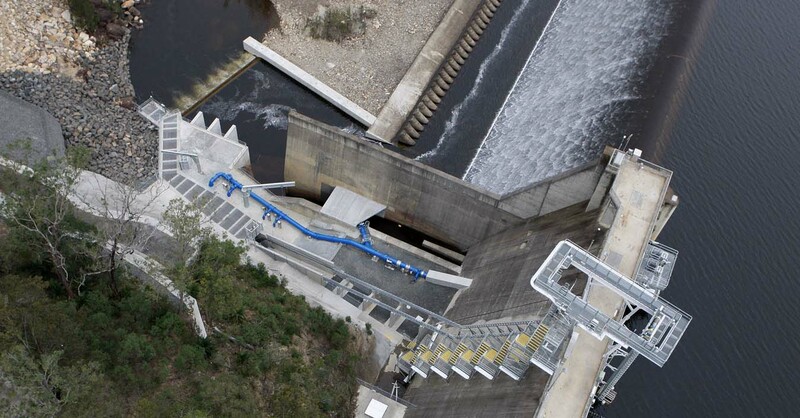 Tallowa Dam's fish lift was a first in NSW and the largest of its kind fitted to an existing dam in Australia. The dam had been a barrier to the migration of native fish since it was built in the 1970s. Now, fish ride in a 2,500 litre bucket along a 30 metre track up and over the dam wall. 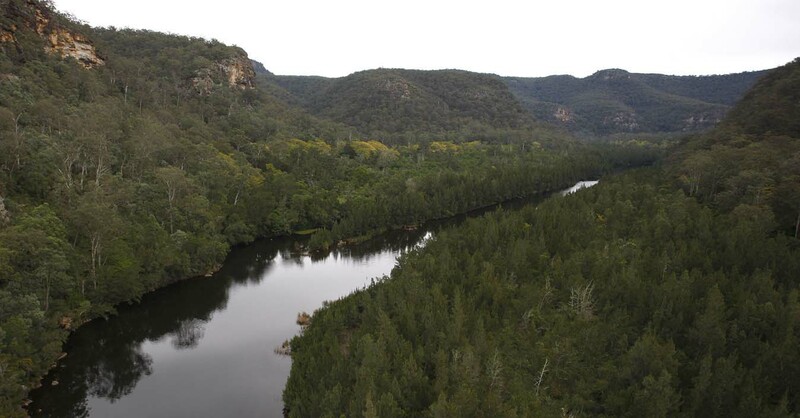 By allowing fish to migrate between the lower and upper Shoalhaven River, the fish lift helps protect 10 native fish species, including the endangered Grayling. No fishing is permitted adjacent to the fish lift and access to the area surrounding the fish lift is restricted for public safety. 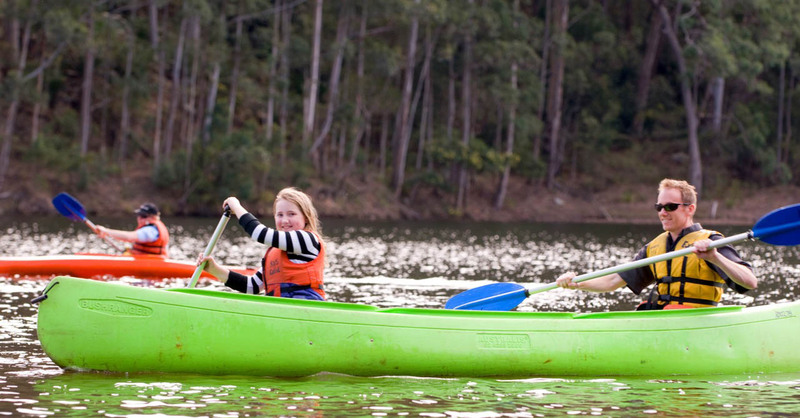 Lake Yarrunga, formed by Tallowa Dam, is a popular spot for canoeing, swimming and fishing. 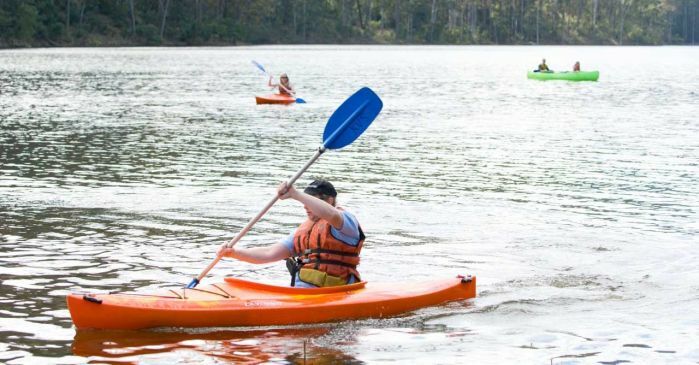 There are two canoe launching areas - one north of the dam wall, so you can paddle upstream towards Bendeela Recreation Area and Kangaroo Valley, plus a launching area downstream of the dam wall, from where you can head down the Shoalhaven River towards Burrier and Nowra. The lake is also a popular spot for fishing with good land-based fishing also available at nearby Bendeela Recreation Area and Fitzroy Falls Reservoir fishing area. Walk or drive to the upper viewing area near the fish lift at the start of the dam wall. From here you can enjoy views of water spilling across the dam's wide spillway, and out across Lake Yarrunga to the rugged bushland of Morton National Park. The dam wall is more than half a kilometre long but only 43 metres high. A lower viewing area provides another perspective of the fish lift and wall. Throw down a rug and enjoy a picnic with family and friends in the scenic grounds. Facilities include electric barbecues, picnic tables and toilets. You may swim, canoe or fish on the lake, or just enjoy the fresh air and bush surroundings. Take a short walk down a forest path to the northern canoe launch area for scenic river views. 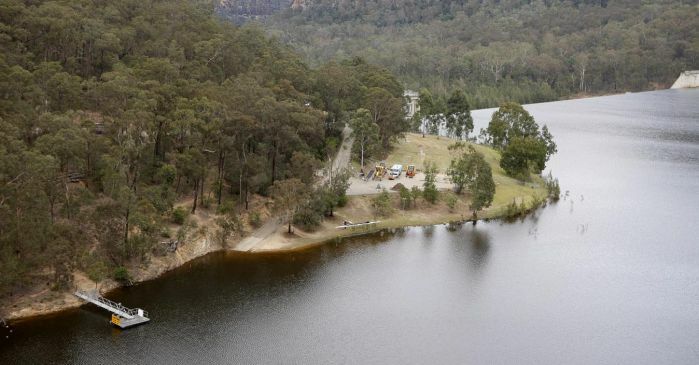 Access for land-based fishing is available at the Bendeela Recreation Area, a 30 kilometre drive east of the dam, and at the Fitzroy Falls Reservoir fishing area, a 50 kilometre drive north-east. 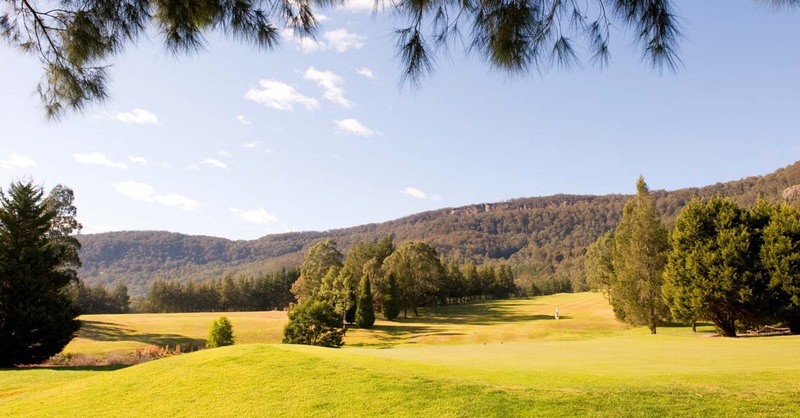 Head further south and explore the lush escarpment country of the Southern Highlands between Robertson and Nowra, including spectacular Fitzroy Falls and Morton National Park. Located about 160 kilometres south of Sydney, Tallowa Dam is immediately downstream of where the Kangaroo and Shoalhaven rivers meet. Constructed in the mid-1970s, the dam is the centrepiece of the Shoalhaven Scheme. Tallow Dam collects water from a 5,750 square kilometre catchment which extends from Kangaroo Valley in the north-east to the upper Shoalhaven River south-west of Braidwood. * Note: Total storage capacity of Tallowa Dam is the amount of water available to transfer to Sydney and the Illawarra. 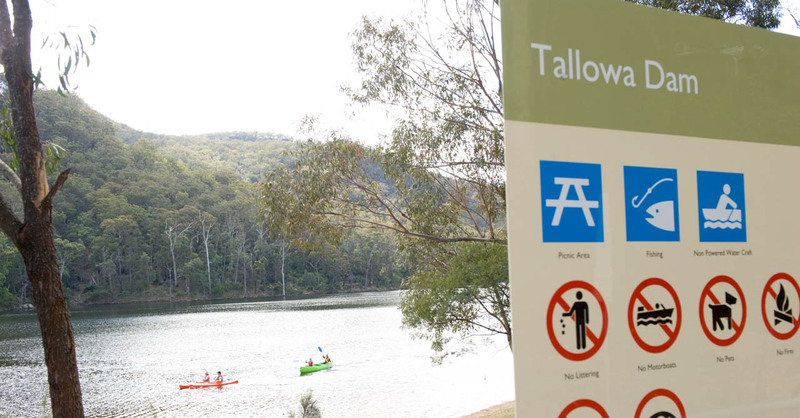 Other water from Tallowa Dam is provided by Shoalhaven City Council to local communities, or released as environmental flows for the Shoalhaven River. 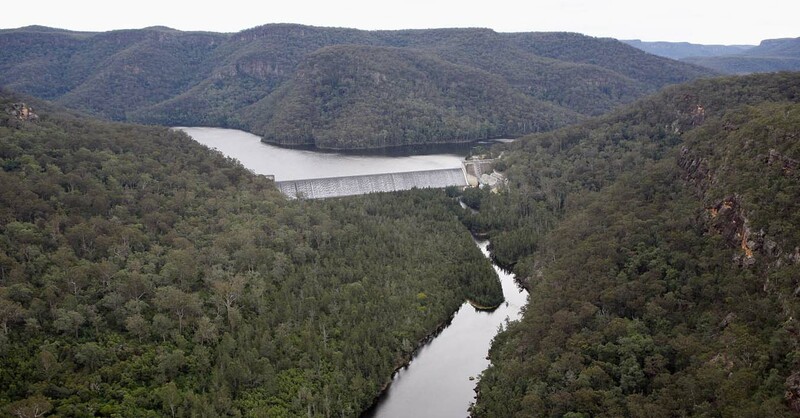 When Sydney's dam levels drop to 75 percent, water from the Shoalhaven Scheme can be fed into the Upper Nepean dams and Warragamba Dam to top up Sydney and Illawarra water supplies. Water is also released from Tallowa Dam into the Shoalhaven River as environmental flows and to provide water to Nowra. Plans for a water supply in the Shoalhaven first arose at the end of World War I, but it was not until 1968 that the Water Board consulted the Snowy Mountains Hydro-Electric Authority about the longer-term water needs of Sydney and the south coast. There was concern that Warragamba Dam, which had opened only eight years earlier, might not be enough to meet Sydney's water supply needs by the mid-1970s. The advice was to proceed with the Shoalhaven Scheme. Construction of Tallowa Dam began in 1971 and was completed in 1976. Construction also commenced on reservoirs on the coastal range above Fitzroy Falls, and on the Upper Wingecarribee River. The Fitzroy Falls and Wingecarribee reservoirs were completed in 1974. Water from Tallowa Dam, Fitzroy Falls and Wingecarribee reservoirs, is now used to supply local communities and supplement Sydney and Illawarra water supplies. Power generation involves regular exchange of stored waters between Lake Yarrunga, Bendeela Pondage and Fitzroy Falls Reservoir. The Shoalhaven Scheme is unique in Sydney's water supply, designed as a dual-purpose water transfer and hydro-electric power generation scheme. 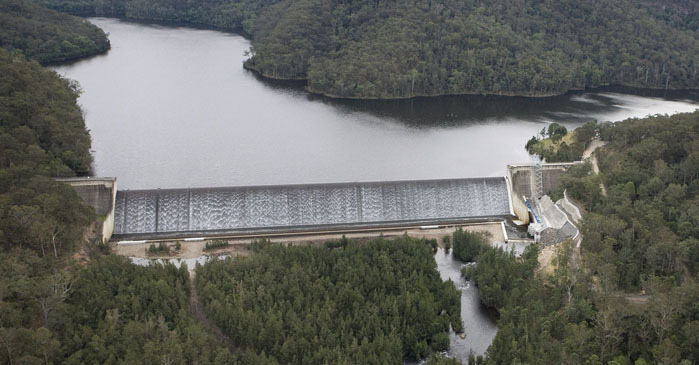 Water pumped from the Shoalhaven Scheme is mostly collected from the Tallowa Dam catchment of 5,750 square kilometres. Wingecarribee and Fitzroy Falls reservoirs have relatively small catchment areas totalling only 70 square kilometres. Water from the Shoalhaven Scheme provides water to the local Southern Highlands and Goulburn communities. It can also be fed into Warragamba Dam and the Upper Nepean dams to top-up the Sydney and Illawarra water supplies. From Wingecarribee Reservoir water can be released into the Wingecarribee River, which flows into the Wollondilly River and Lake Burragorang to feed the main Sydney supply system via Warragamba Dam. Water can also be released from Wingecarribee Reservoir via canals and pipelines (collectively known as Glenquarry Cut) into the Nepean River which flows into Nepean Dam. From there it can be transferred to Sydney via the Upper Canal or to the Illawarra region via the Nepean-Avon tunnel or pumping station to Avon Dam. As well as supplementing water supply, the Shoalhaven Scheme also supplies water to local communities. Wingecarribee Reservoir supplies Bowral and Mittagong via Wingecarribee Shire Council's water filtration plant next to the reservoir. Goulburn can also be supplied with water from Wingecarribee Reservoir in drought times. Kangaroo Valley township is supplied from Shoalhaven City Council's treatment plant, which draws water from Bendeela Pondage. Water is also released from Tallowa Dam into the Shoalhaven River so that Shoalhaven City Council can extract water from the river to supply Nowra. 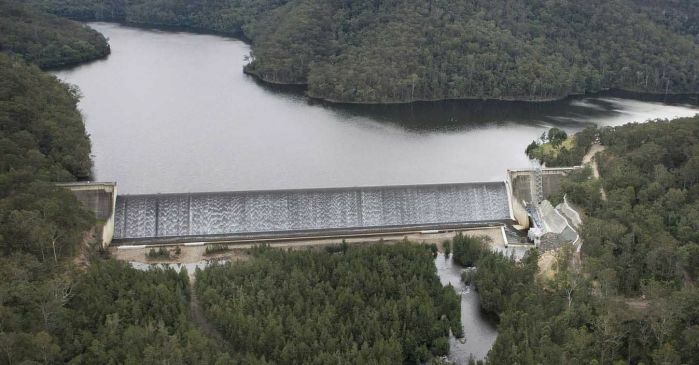 The Shoalhaven Scheme hydro-electric power generation involves pumping water up the system between Lake Yarrunga and Fitzroy Falls Reservoir using off-peak electricity. Some of that water is then released back down the system to generate electricity during periods of peak demand. The power is fed into the state-wide transmission grid through the Canberra-Dapto transmission line. In 2009 Tallowa Dam was upgraded to allow more water and better quality water to be released downstream as environmental flows, which better mimic natural river flows and improve the health of the whole river system. A new mechanical fish lift was built so fish can migrate upstream from the lower to the upper Shoalhaven River, and a new fishway to allow fish to travel more safely downstream over the dam. Tallowa Dam had been a barrier to the migration of native fish since it was built in the 1970s. 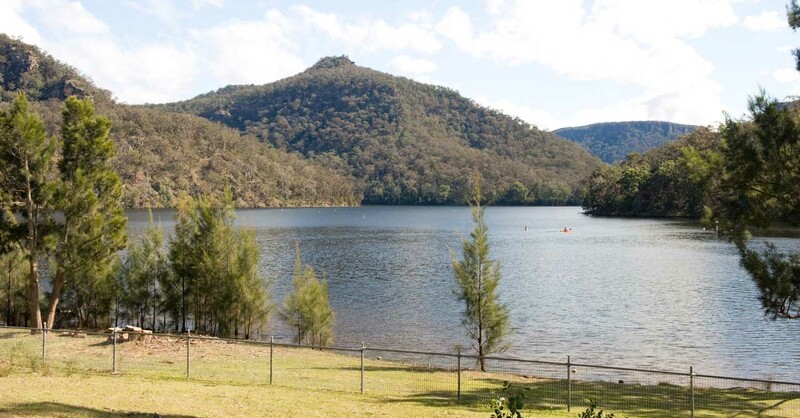 Lake Yarrunga, formed by Tallowa Dam, is a popular spot for canoeing, swimming and fishing. Tallowa Dam is unique for its massive mechanical fish lift which transports fish over the dam wall. 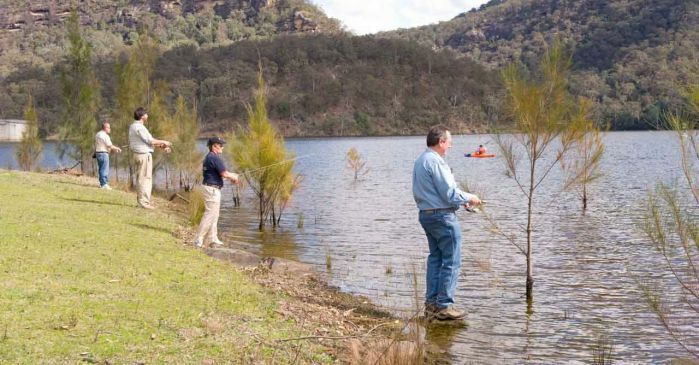 Fishing is a popular activity for visitors to Lake Yarrunga, formed by Tallowa Dam. Tallowa Dam is a popular spot for picnics, fishing and canoeing. 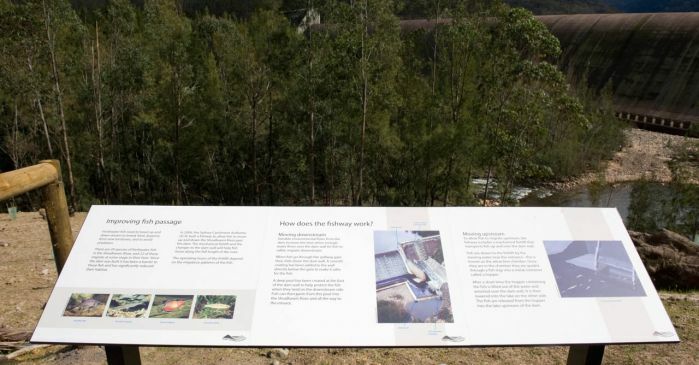 Interpretive signs explain how the fish lift allows native fish to migrate between the lower and upper Shoalhaven River. Tallow Dam collects water from a 5,750 square kilometre catchment of lush countryside and pristine bushland between Kangaroo Valley and Braidwood. There are two canoe launching areas at Tallowa Dam – one on the lake, and another on the river below the dam wall. The smooth waters of Lake Yarrunga are the perfect place for families to enjoy canoeing. 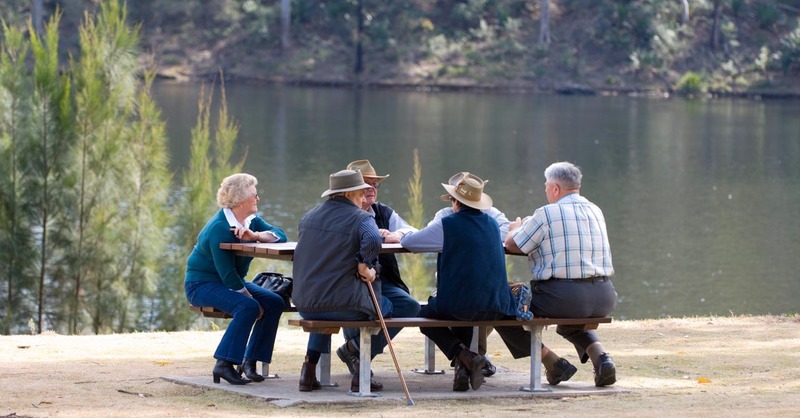 The peaceful surroundings of Lake Yarrunga are ideal for a picnic with family and friends. The Shoalhaven River below Tallow Dam flows through steeps valleys before emerging onto the coastal plains at Nowra. Unlike most water supply dams, recreational activities like swimming, canoeing and fishing are permitted at Lake Yarrunga. The giant fish lift at Tallowa Dam transports fish in a 2,500 litre bucket along a 30 metre track up and over the dam wall. Tallowa Dam's wall is more than half a kilometre long but only 43 metres high. It holds back up to 90,000 megalitres of water in Lake Yarrunga. 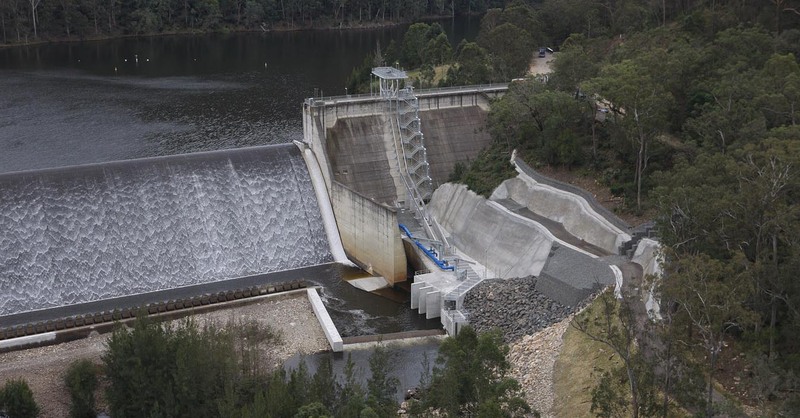 Tallowa Dam is immediately downstream of where the Kangaroo and Shoalhaven rivers meet. 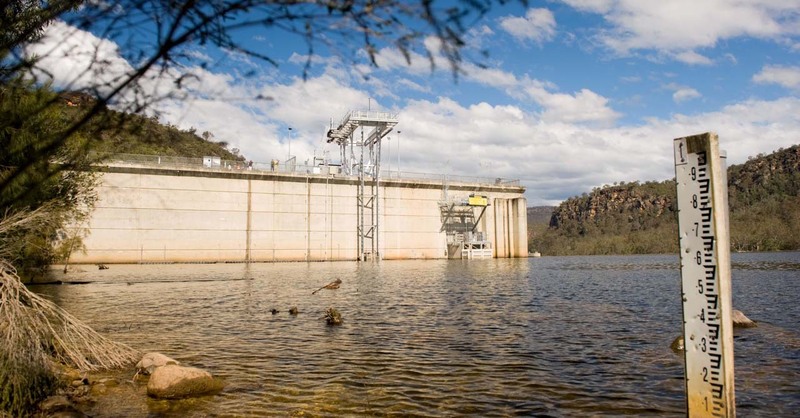 Tallowa Dam's fish lift is the largest of its kind fitted to an existing dam in Australia.